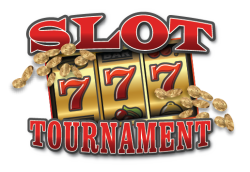 Get everything you know and love about Video Poker plus some extra coin with Bonus Poker. In this draw poker game, the player gets five cards from the dealer. The player chooses which cards to hold and presses Deal to discard unwanted cards and determine the final hand. If the final hand has a pair of jacks or better, the player wins. Bonus Poker features a special payout for holding a winning hand with 4 of a kind. Hands are ranked in order as follows: pair of jacks or higher, 2 pair, 3 of a kind, straight, flush, full house, four 5-K, four 2s, 3s or 4s, four aces, straight flush and royal flush. Payouts increase when the player increases the bet per hand and when they choose to play multiple hands. Draw Deal - Deals the cards after a bet has been placed or after the player has selected cards to hold. Hold - The player simply clicks on the cards they wish to keep before the final deal.